Our core business as a creative marketing company is providing full-service solutions to our clients. We create strong brands, vibrant identities, outstanding design and creative concepts. 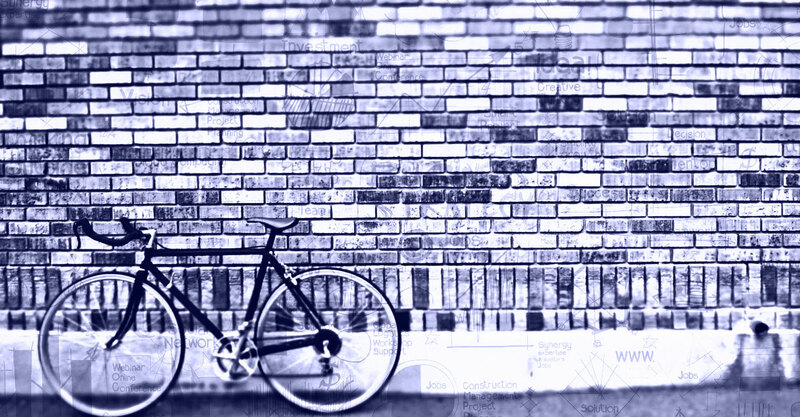 Whatever the message and media, we design combining strategy, creativity and technology, your brand is our passion. 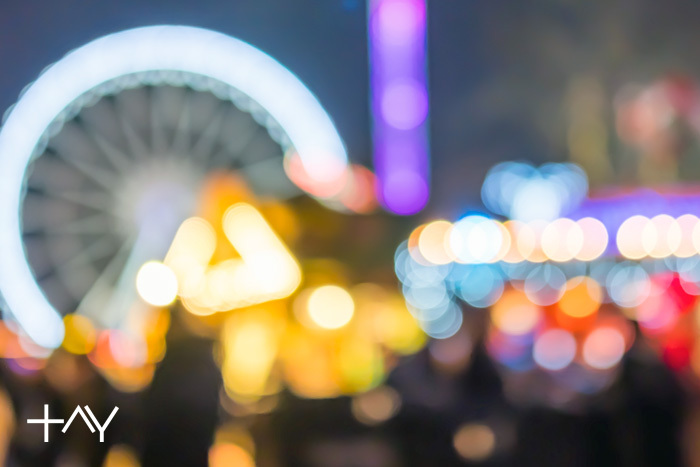 We pride ourselves in our relationships - overseeing everything personally to be confident that all we produce makes your brand shine in today’s cluttered marketing space. We bring brands to life with fresh and innovative concepts, created in a unique work environment where experimentation and collaboration are key to the creative process. 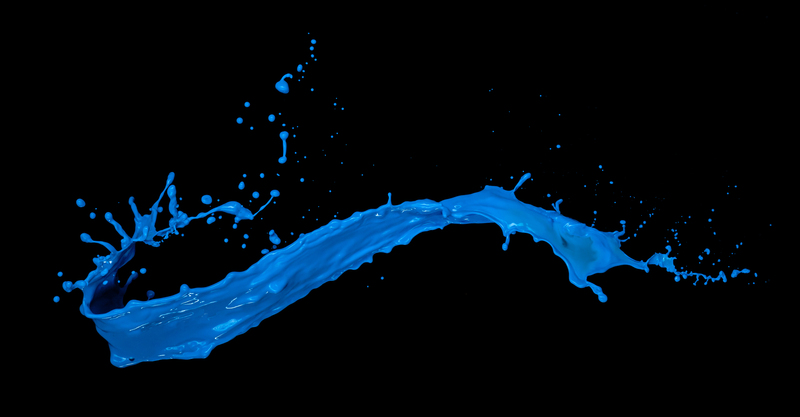 We produce enduring, message-led communications, adding value through image and identity. We work with companies to structure such programs carefully to target attractive customer segments, create the desired image and strengthen the brand. We make digital transformation happen by combining true creativity with solid project and production management. Whatever the challenge, we research the opportunity, deliberate with the client, agree a strategy and design for long-lasting change. Creativity with purpose - by combining diverse skills with the use of new technologies, talented designers and developers, we push the boundaries of what can be realised, resulting in sensational design and intuitive applications. From concept to execution well-executed marketing programs drive up both revenue and profits. Our work produces stories and experiences that people want to shout, tweet or blog about, generating ongoing buzz and excitement. Explore a brief sample of our recent work below. We build strong relationships with our clients to forge solid lines of communication, enabling genuine collaboration and creating an environment where fantastic results are achieved. Here are a few of the brands we’ve had the pleasure of working alongside. I've worked with Stylefrog on a number of high profile projects and would strongly recommend. They have expert knowledge in all aspects of digital from ideation to creative conceptualisation to execution and have a strong passion for what they do which makes them a pleasure to work with. Lee Noon, Director of Digital & Direct, LV= Life. 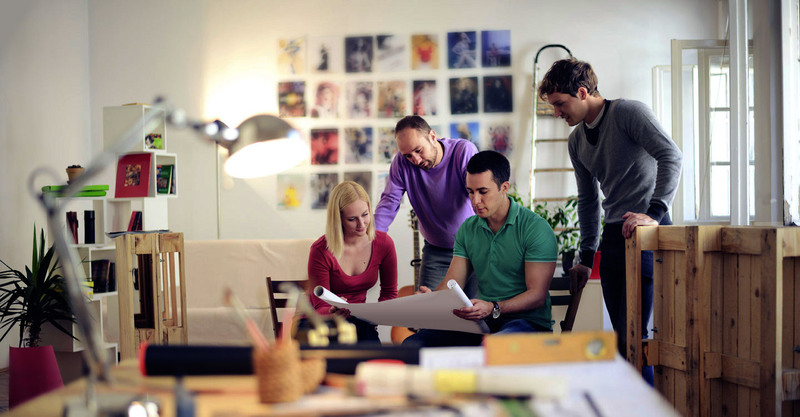 Stylefrog gave us direction, helped to steer the project and their UI knowledge and creative input was invaluable. The work we received was fun and memorable - we had great feedback from our clients! I would highly recommend Stylefrog to any marketing department looking for high impact, stress free work. Laura Brown, Senior Programme Manager, IBM Watson Marketing. Working with Stylefrog is always a pleasure. Service with a smile and a truck load of creativity as standard. Whatever the scale of the project the Stylefrog team have always come through with a minimum of fuss. Stylefrog will always be my first port of call when It comes to new media. Dom Lobo, Head of Productions, Branding Science. 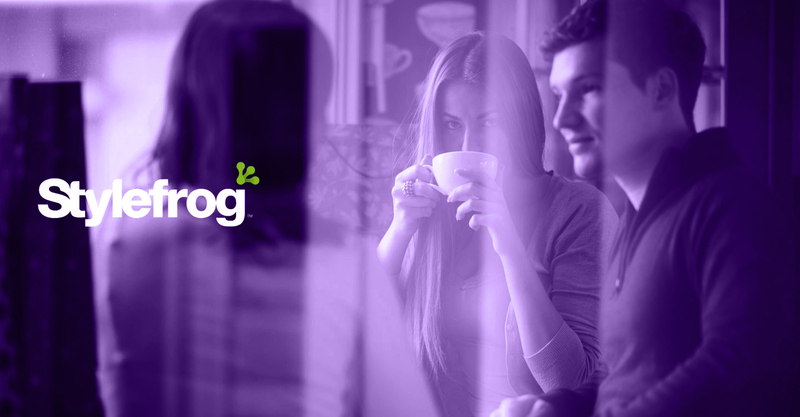 As a dynamic and fast growing company we consider Stylefrog to be an essential partner. They never fail to deliver the highest quality creative and technical expertise that enables us to achieve our goals, time and time again. Ben Luger, Marketing Communication Specialist, ecosurety. We’re based just outside Northampton, famous for its booming shoe industry until well into the 19th century. More importantly, there’s plenty of culture, restaurants, museums, galleries, theatres and cinemas, health clubs and spas, and a thriving nightlife for anyone with the energy. Plenty to explore when you get here. © 2018 Stylefrog Creative Limited. All rights reserved. Dorchester Collection manages a portfolio of some of the world’s foremost luxury hotels in Europe and the USA. 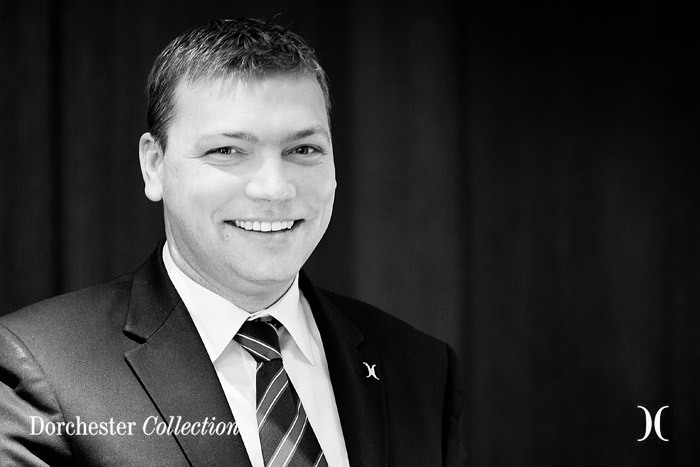 The company’s vision is to become the ultimate hotel management company, with a passion for excellence and innovation, honouring the individuality and heritage of its hotels. We created a fast-paced and engaging quiz, in which the user has to answer ten timed questions based around the Dorchester Core Standards. The questions themselves were delivered in a number of different ways, varying from multiple choice, to ranked order, to image sorting and other interactive mechanics. As well as creating a global leaderboard we also integrated Google Analytics into the backend, so the client has access to detailed metrics and reports. 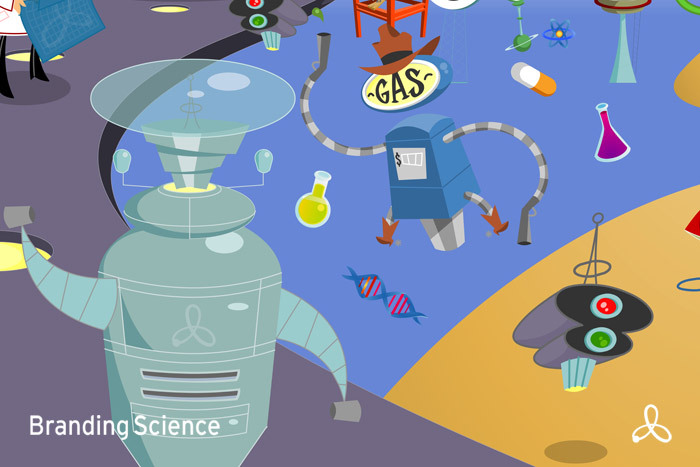 Branding Science are a research-led consultancy – working with pharmaceutical brand teams to deliver commercial and actionable insights. 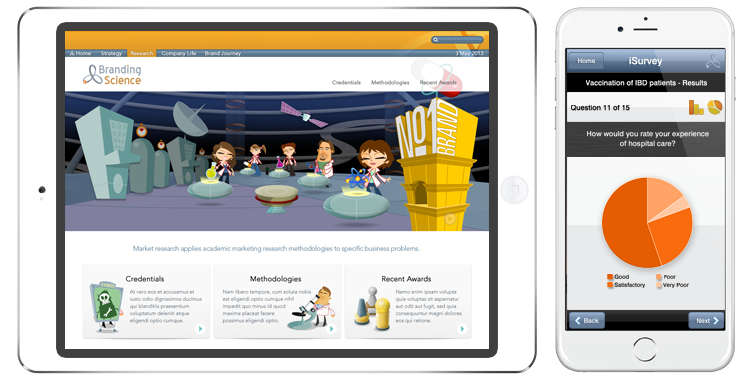 Together with the Branding Science group, their expertise lies in strategy consultancy, research and multimedia production. 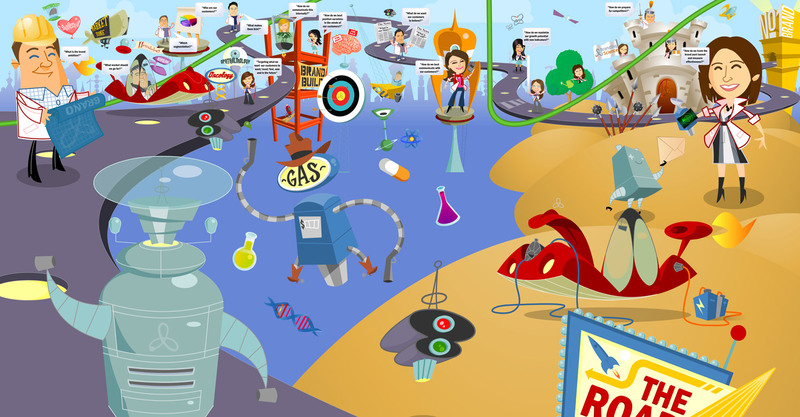 With offices around the world, Branding Science partner with global brand teams and their affiliates through the various challenges coming along the brand life cycle. We have worked alongside Branding Science since 2005, producing a huge range of work in numerous different mediums including; websites, mobile applications, printed artwork, high resolution print stands, animated email notifications, animated games, customer surveys, end of project reviews, video viewing platform, video promotional work, interactive presentations, staff caricatures, business cards, mail stationery and exhibition kiosk work. 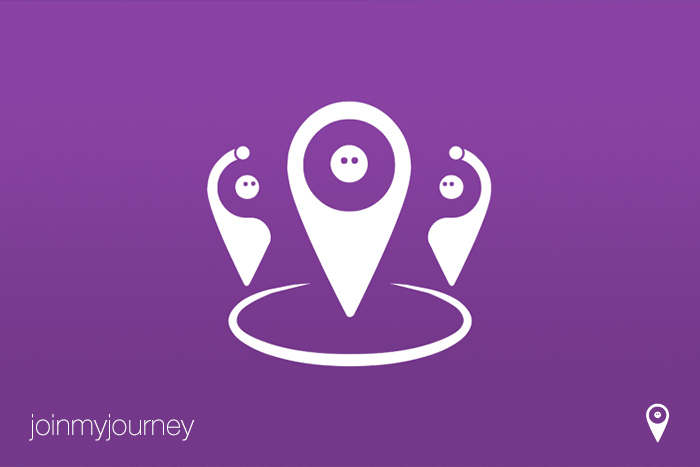 Join My Journey is a free-to-use site and suite of apps enabling commuters travelling by car, bicycle or on foot to find others to share compatible journeys to work or study, either regularly, or as a one off. Main benefits include fewer cars on the road, improvements in parking, lower emissions, and helping drivers save money by cutting commuting costs. Others include less stress from sitting in traffic queues, empowering commuters to cycle and walk together and the option to share sustainable and safe journeys during the winter. After successfully launching in Aztec West, other business and educational destinations based in the West of England are coming on board in 2016 on a not-for-profit basis, with plans to eventually open it out nationally. 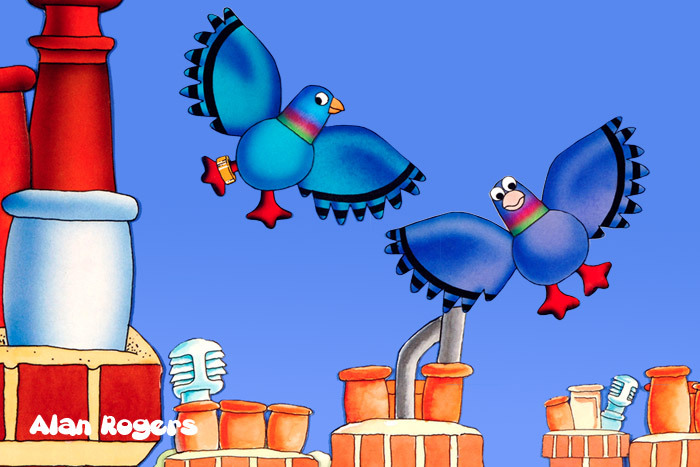 Alan Rogers is a freelance illustrator, animator and photographer, who’s early work encompassed some of the most iconic children’s TV of its time, such as Bod, The Flumps, Pigeon Street and Rub-a-Dub-Dub. Along with Peter Lang he went on to form the Cut-Out Animation Company; specialising in making mostly children’s animations using the cut-out technique. Other popular works include Rosie and Jim, and Bonny, Banana and Mo for the CBeebies studio-based programme Tikkabilla. We’ve had a wonderful time working alongside Alan Rogers, being that we are huge animation fans here in the studio! 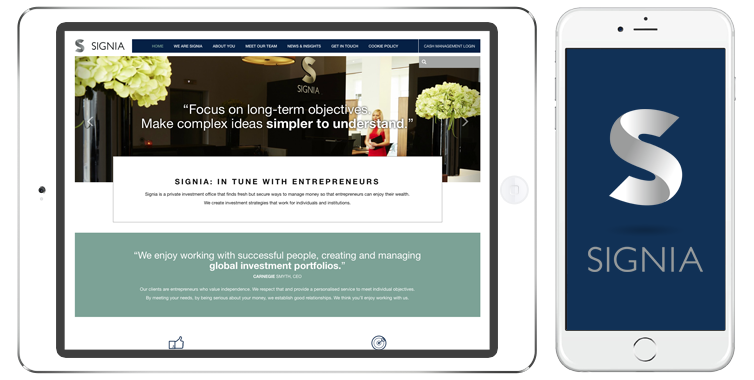 We created a bespoke Wordpress solution, tailoring a new template to the client’s exact specification. 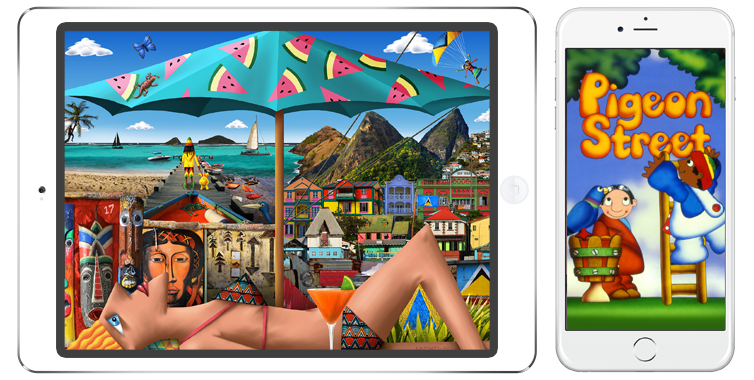 Due to the varying styles of artwork on show it was imperative that the client could quickly and easily manage imagery, making sure any new additions or alterations sit perfectly in the site. Tay Associates are specialists in the placement of PA and business support staff into temporary, permanent and fixed term roles. Their covetable list of clients includes organisations from SME and entrepreneurial start-ups to leading global brands across all industries. 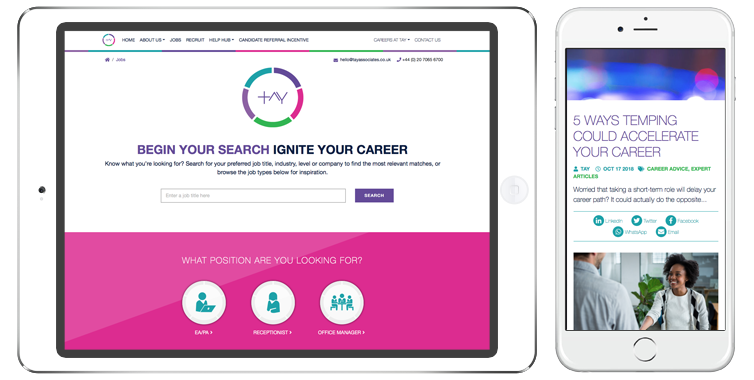 We have worked alongside Tay Associates since 2003, producing a huge range of work in numerous different mediums including; websites, mobile applications, printed artwork, animated games, high resolution promotional work, interactive presentations, business cards, mail stationery and exhibition kiosk work. 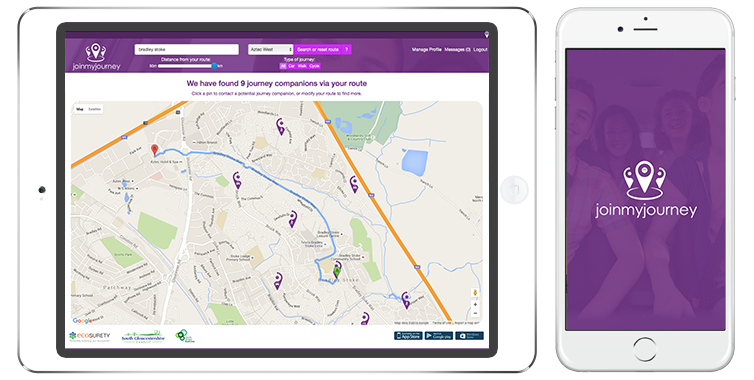 Three want to make life easier for their customers by helping them get the most out of their mobile devices, offering real value from the services they provide and by removing the barriers that frustrate them. Three have the UK’s fastest growing network which covers more than 97% of the UK population, employing 4,400 employees in the UK alone with over 9.9 million active customers. Our solution? 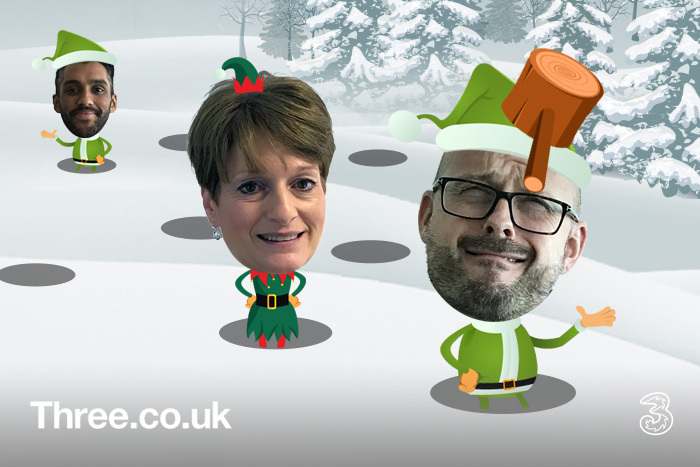 We turned all the staff members into festive elves, complete with little red and green costumes and then threw them into a game of 'Whack-a-Mole'! With the added incentive of a company leaderboard, we ensured that the competitive element was ever present and the game was played hundereds of times! Signia is a private investment office that finds fresh but secure ways to manage money so that entrepreneurs can enjoy their wealth. 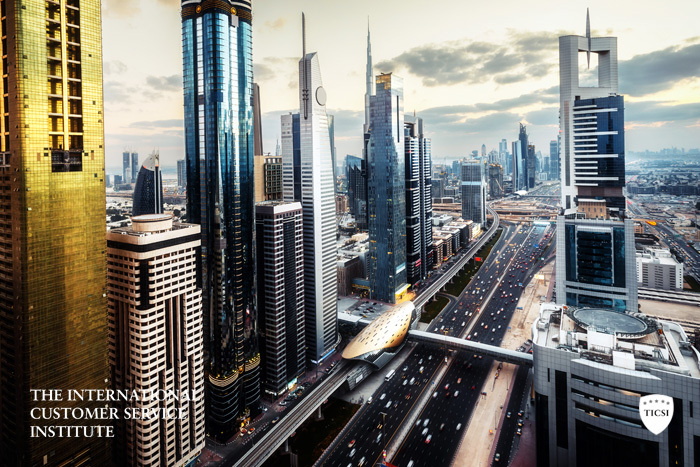 They create investment strategies that work for individuals and institutions, specialising in Multi-asset Investments, Hedge Fund Investment, Cash Management & Debt and Private Capital. 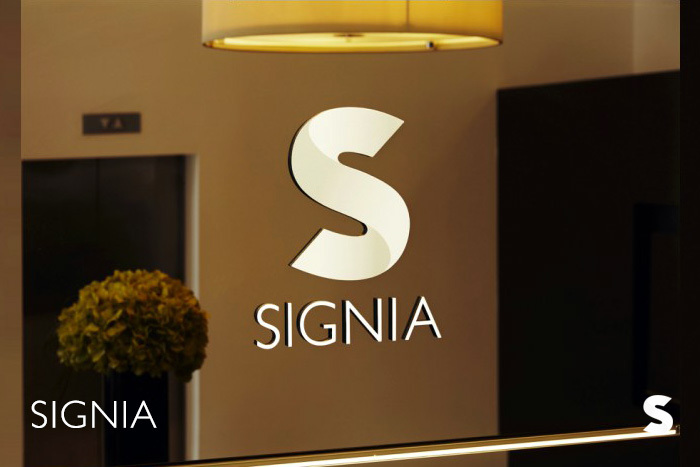 We worked extremely closely with Signia throughout the rebranding process and website design, leading through to the brand launch. Starting out with a ‘workshop day’ where we got together with the team to reach a common understanding of what Signia Wealth is, we then moved towards articulating those findings. Finally, we identified the key values as a company, and also looked at how Signia are perceived by both intermediaries and entrepreneurs. 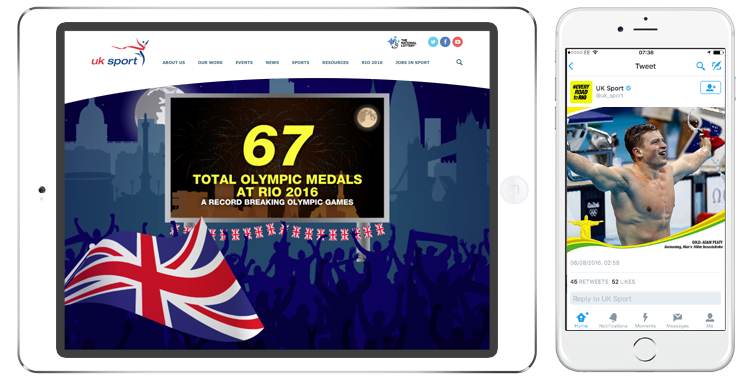 UK Sport supports Britain’s best Olympic and Paralympic sports and athletes, co-ordinating the bids for and staging of major international sporting events in the UK. It invests around £100 million each year in high performance sport. For the medal announcement animation we created a super quick visual journey, taking the viewer from London all the way to Rio de Janeiro - where targets were revealed on an airport style ticker board. This was then followed up with various short hits of a similar animation for social media use, showing when these targets had been hit, then surpassed. To complete this particular project, we created ’sign-off’ animations for use at the end of these fantastic games too. 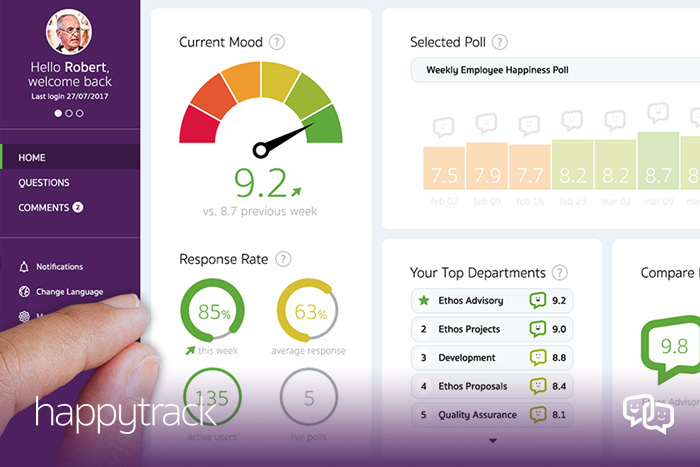 HappyTrack are the leading global provider of client customer and employee happiness measurement and performance. HappyTrack collect, analyse and report real time customer and employee happiness feedback to drive improvements in organisational performance through increased customer loyalty and genuine gains in employee productivity and wellbeing. 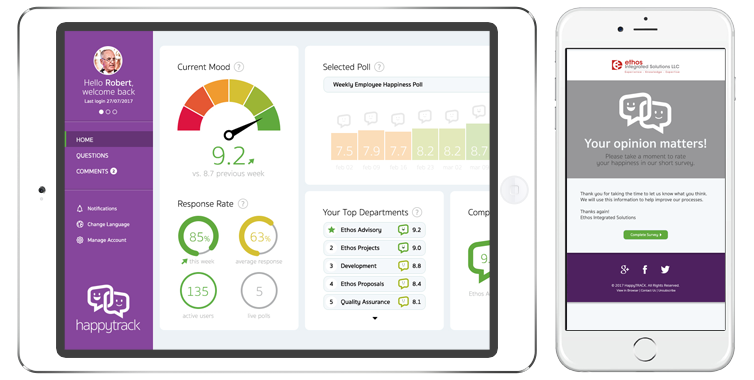 The HappyTrack platform identifies and measures the factors that deliver customer and employee happiness in order to inform improvement in customer loyalty and employee job satisfaction and productivity. 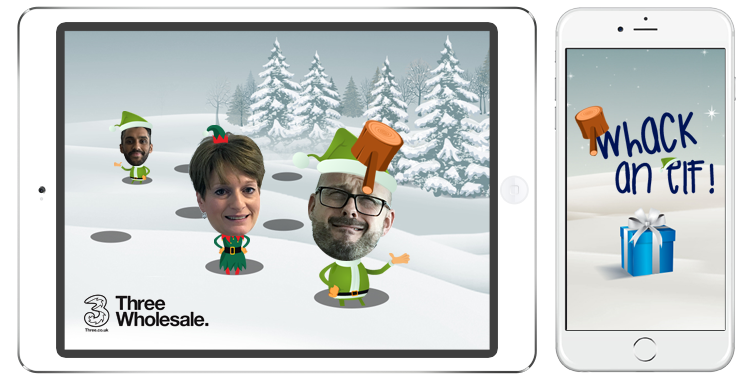 The guys and girls at HappyTrack continue to search for new ways of approaching the same old problems, innovating through technology, process and behaviour. We worked closely with the client throughout this project, understanding business needs and then defining overall objectives - goals, strategy, branding and technical specifications. 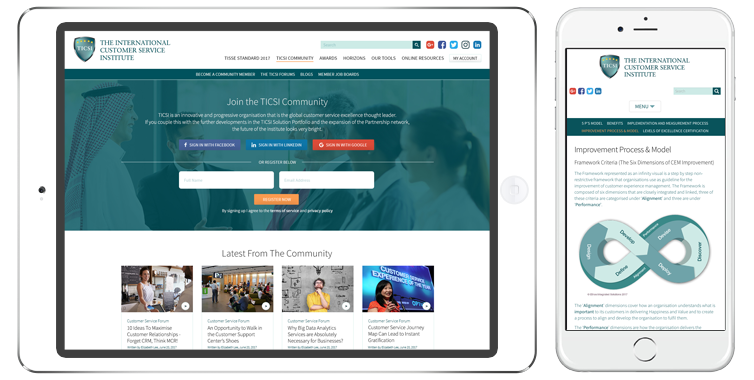 Through a process of detailed wireframes and page diagrams, we quickly established user journeys and agreed upon an new direction for the look and feel of the TICSI online presence. The new TICSI website enables the client to continue to deliver world class service excellence through continued customer experience measurement, analysis and improvement with their set of industry-leading tools. 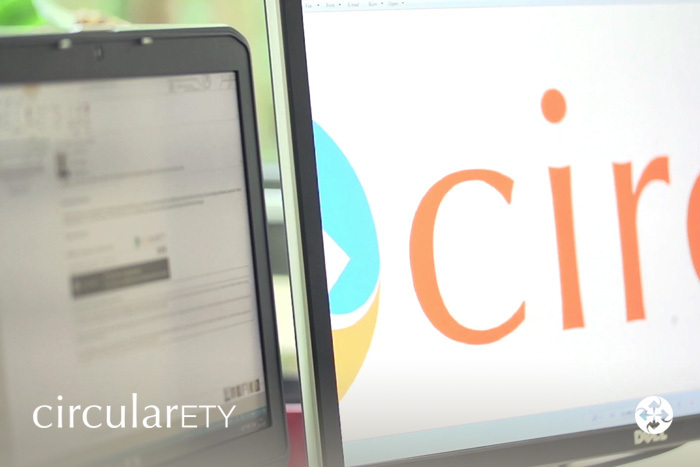 Circularety is a fantastic new initiative created by Ecosurety, introducing a completely new and transparent way to buy and sell PRNs, enabling producers and reprocessors to work together for the benefit of recycling. With over 1,000 members including Innocent, Co-op and MARS, Circularety is a widly successful response to the growing dissatisfaction with the existing PRN system from producers and reprocessors. 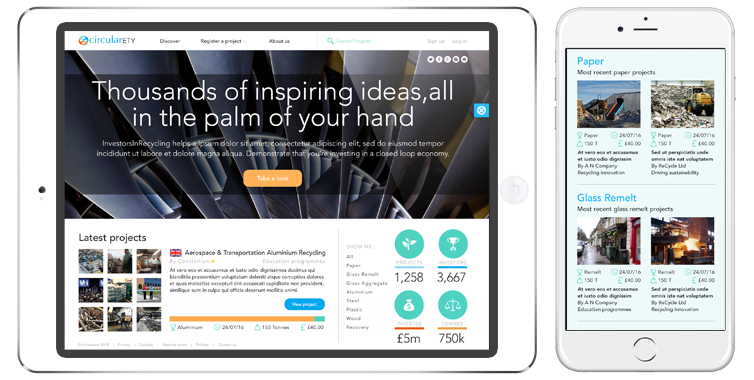 This new platform ensures that obligated producers can choose exactly where their PRN obligation money goes, whilst reprocessors are able to better plan and fund tangible outcomes from PRN investments. 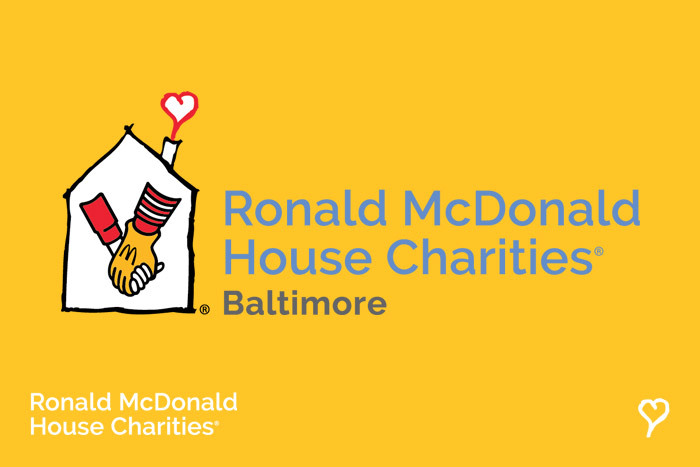 Ronald McDonald House Charities creates, finds and supports programs that directly improve the health and well-being of children and their families. Through its global network of Chapters, RMHC provides compassionate care and resources to children and families being served by leading hospitals worldwide. 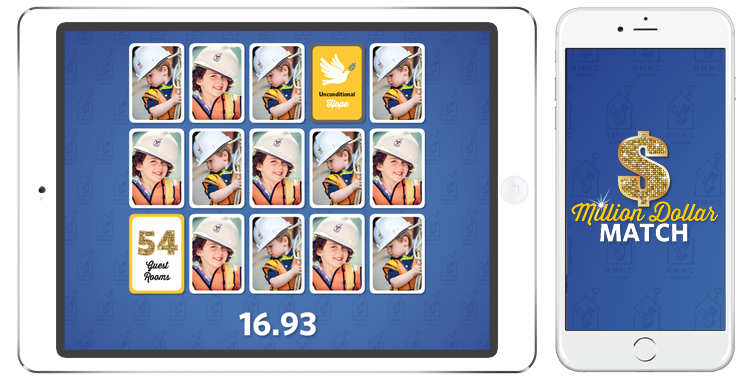 For the “Million Dollar Match“ game we created an easy to use, fun and addictive solution - geared up to encourage repeat plays and social sharing. We themed the cards within the game with photography of some of the great kids who have benefitted from Ronald McDonald House Charities fabulous work. As well as creating a global leaderboard we also integrated Google Analytics into the backend, so the client had access to detailed metrics and reports.